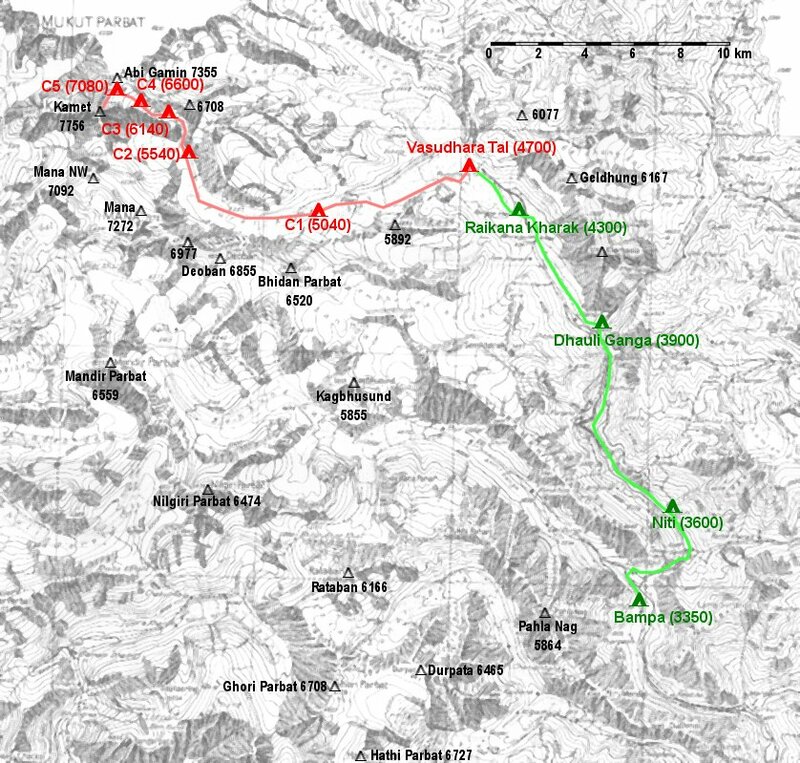 Sketch of our approach march (green) and the route towards Kamet (red), based on the map "Garhwal-Himalaya-Ost" 1:150000 by Swiss Foundation for Alpine Research. Although the map was issued in 1978, the contents presumably is several decades older. 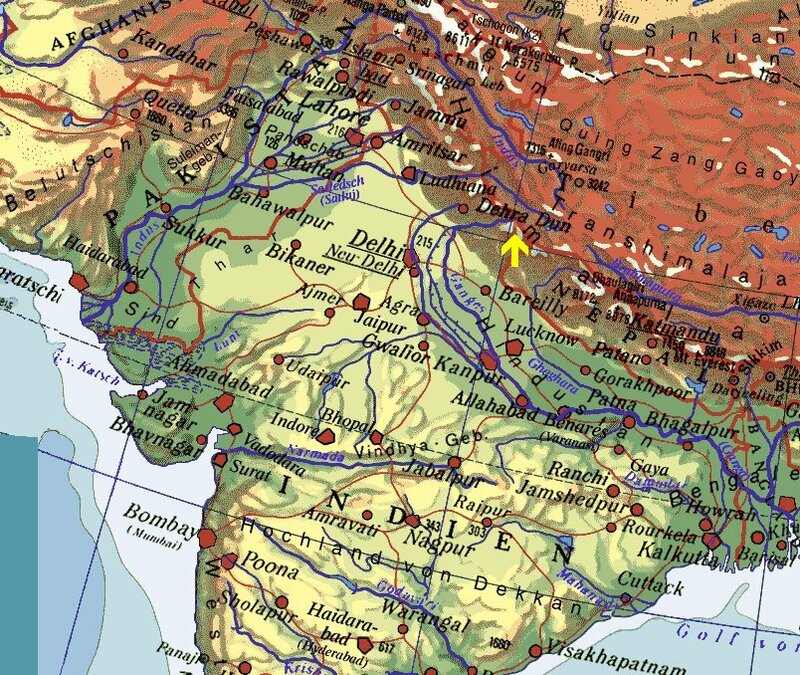 Nevertheless the map is a valuable tool for any trip to this area.